Compton – O Hei There! I like moms. I like my mom. I like other people’s moms. I like people like they’re my moms. And I like stuff that moms make. I’m not sure if the people at the joint are mothers, or if “Mom” is a mother herself. 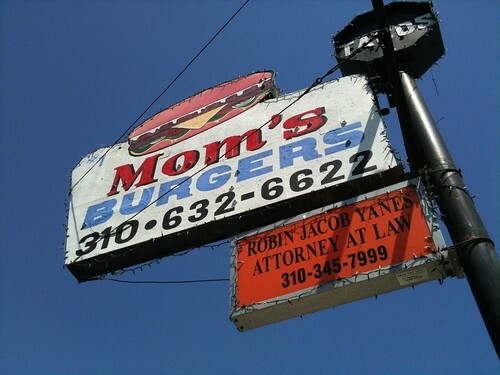 But the burgers that are served at Mom’s Burgers certainly would win the argument of “my favorite ___ is the one my mom makes.” Except this mom is black and probably sassy. 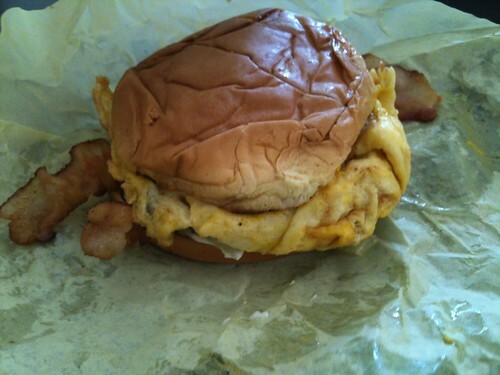 Bad jokes aside, this is a ghetto burger at its finest. The patty is hand-formed, finished well-cooked on a flat top griddle. No aged meat or calculated blends or (insert ranch name here) artisan source, just a simple patty – well-seasoned with salt and pepper, and then seasoned even more by the grill via decades of its burger predecessors cooked on it. 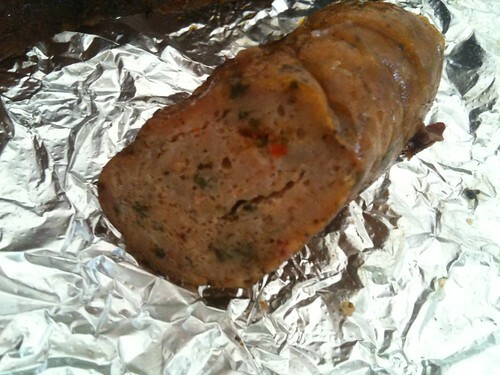 Yeah it’s well-cooked, but it’s still juicy and full of flavor. Bun is your standard commercial hamburger bun, which isn’t a bad thing, because these buns have been designed to be the right size for fast food patties, and there’s no place for bougie brioche in this part of town. 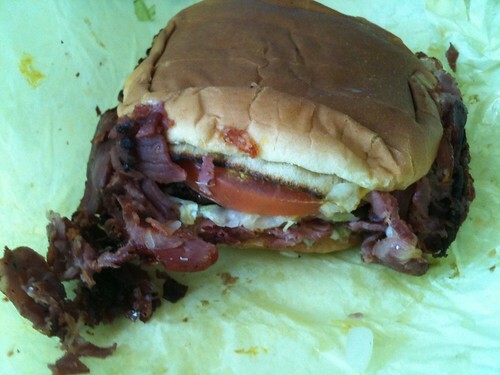 And to top it all off, a combination of calorific fried egg, bacon strips, and/or cheap and fatty pastrami. Note that the burgers in the photos are the junior sizes (around 1/4 lb. sized) since I also bought food from Bludso’s – so the regular sized burgers are quite large here. Eating at Mom’s reminds me of my high school days when I used to go to places like Oki-Dog and Roscoe’s – neighborhood joints that are delicious, filling, and give you a sense of street cred. But while those places won’t fully satisfy my now-snobby palate and cravings, Mom knows best. Except Compton ain’t my hood. But now I have two places to hit up down south, and I’ll probably die if I go too often. But it would probably be a glorious death from the most wonderful heart attack one can get. Notes: cash only. Also, phone order ahead. I ordered my burgers while at Bludso’s, and still had to wait by the time I got there (not a big deal though – they’re cool peoples). On a random Sunday last month, I had a craving for BBQ. 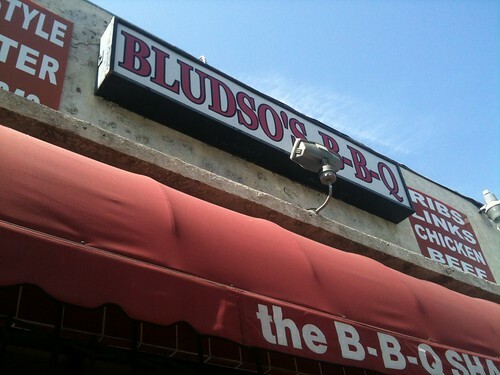 I think a friend of mine had asked me which BBQ joint was best in LA earlier that week; obviously I answered Bludso’s – critical and blogger darling. But there’s a problem with that statement: I hadn’t been to Bludso’s yet. Since I had nothing to do that day, I figured it was as good of a time as ever to make my trek down south to Compton. Plus there would be no better time to go, since they’re not very close and always close early. I went right before noon, so there were a lot of church goers walking around in their Sunday bests. Despite this being “the hood,” everyone just seemed so happy and courteous. See people, it’s not so scary. Of course, I was the only non-Black person in sight. No biggie – I’m just that cool. On the other hand, I’m sure everyone else thought that I was one of these sheltered kids who considered the visit as some sort of reputation-building field trip (I know Alex Adams desires such a trip, being the for-the-people bougie that he is). Whatever, I’m here for the BBQ, y’all. To make this trip count, I ordered the Texas Sampler ($29.50 – I believe it’s $28.50 on their website though), which has a little bit of all the meats on the menu (add a beef rib on weekends for $2). 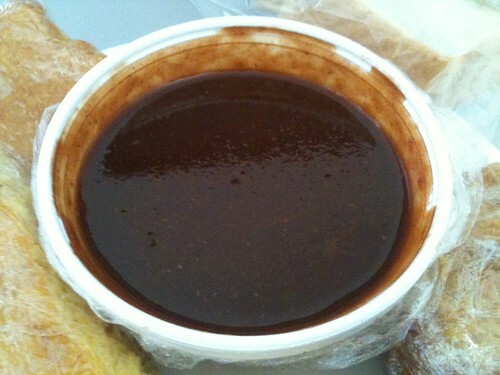 I got the mild sauce on the side, since that was what was suggested to me when you order to-go. You also get two large sides (I chose greens and mac and cheese), and a bunch of cornbread and white bread. The meats, besides the additional beef rib (which I got one of), consisted of: pork rib, beef brisket, rib tip, chicken, chicken link, beef link, and pork shoulder. Lasted me three meals. 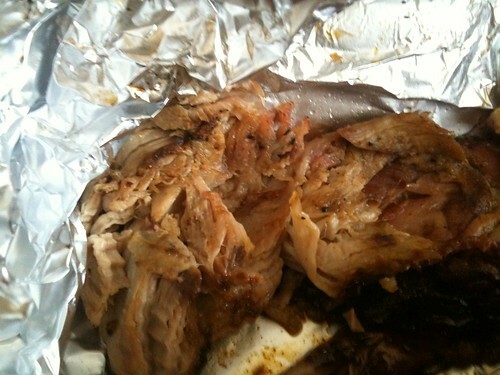 Let me start by saying: Bludso’s is definitely the best BBQ I’ve ever had. 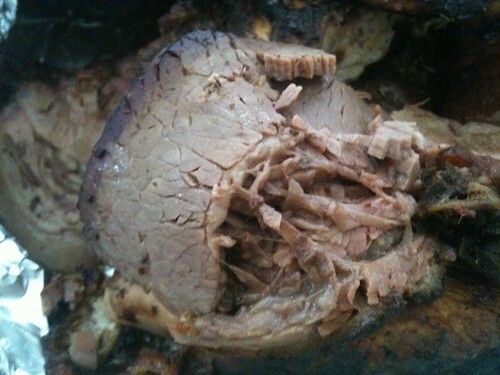 That was a simple conclusion to come to, once I had my first bite of the beef brisket. 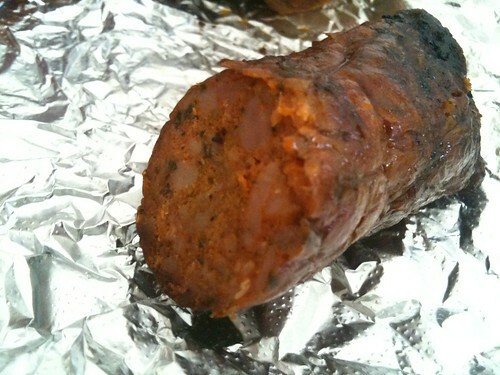 So soft, so tender, and so good when slathered with the BBQ sauce. 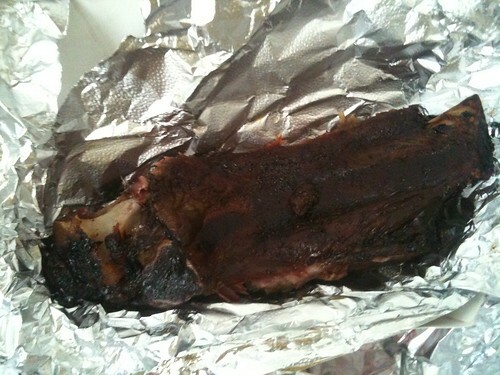 Beef ribs were awesome as well – they actually didn’t charge me for it (FYI: the service is really good). 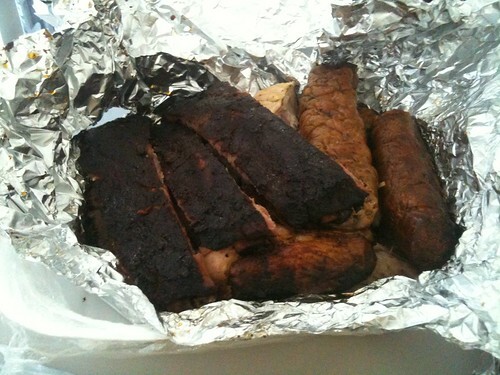 Pork ribs weren’t as good as their beef counterpart, but still held their own. 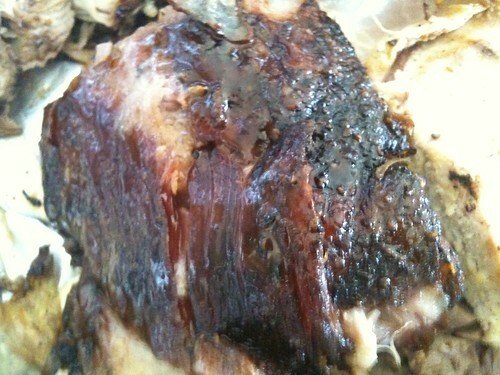 Same with the pork shoulder in comparison to the beef brisket. Add the rib tips, and those five meats were the First-Team All-BBQ. Not all is perfect though. The chicken had a nice smoky flavor, but was a bit dry and didn’t have that much depth flavor-wise (the sauce helped a bit though). The two varieties of links, while decent, aren’t anywhere in the same league as the superstars. But they were still pretty good. 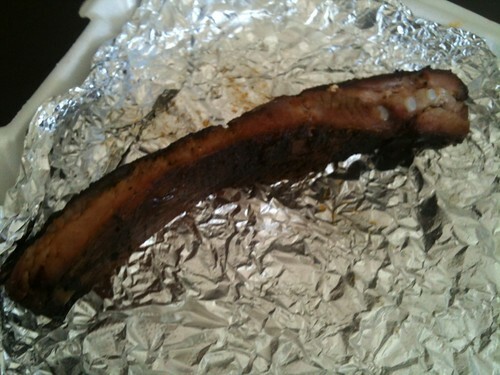 However, I might just stick to ordering a three-meat combo and supplementing it with some beef ribs next time. 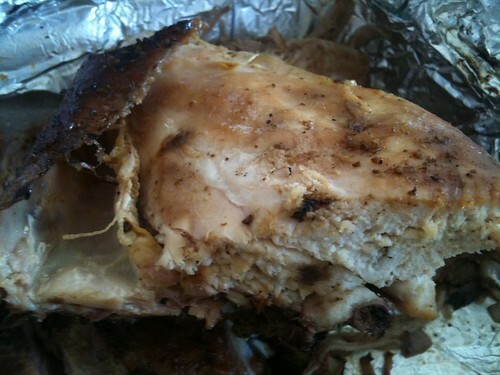 The sides aren’t often lauded at Bludso’s, but they were pretty damn good. 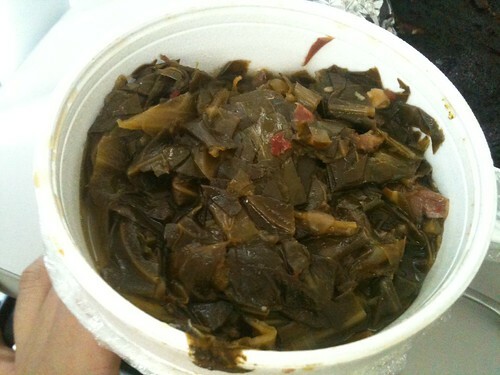 The green, infused with some smoked pork, were really good. 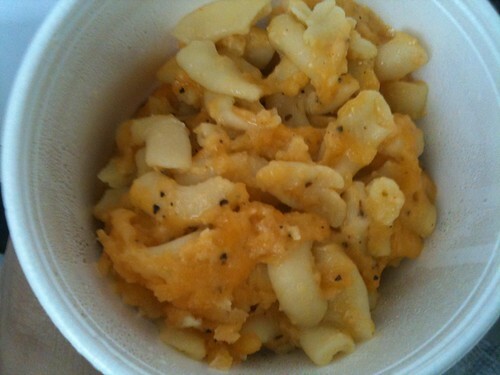 Mac and cheese was more conventional, but went well with all the meats. I’m so glad I finally made it out to Bludso’s. Without a doubt, the best BBQ I’ve ever had. Maybe I can round up some bougies here in West LA and make the occasional field trips to Compton, since Bludso’s is such a destination place. 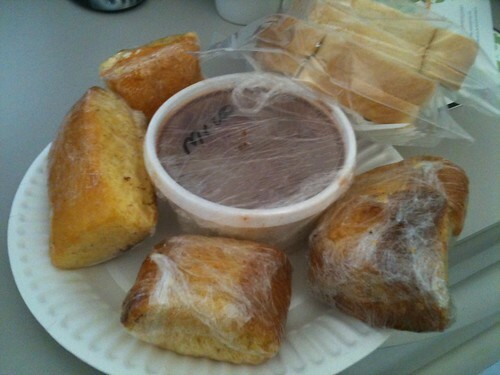 Or I can somehow bribe Mr. Bludso into coming to our holiday potluck. Some notes: you can call ahead to place your order, and it’s currently cash only I believe.